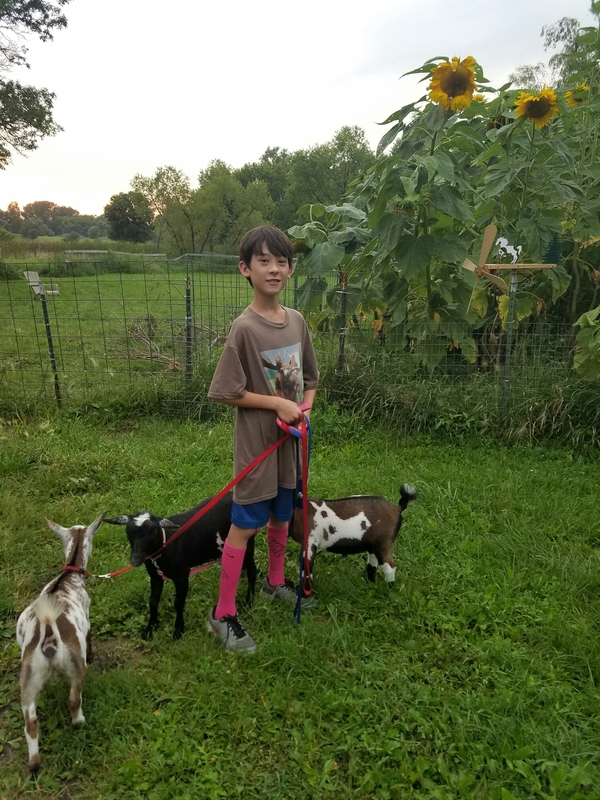 Walking goats & state fair countdown. 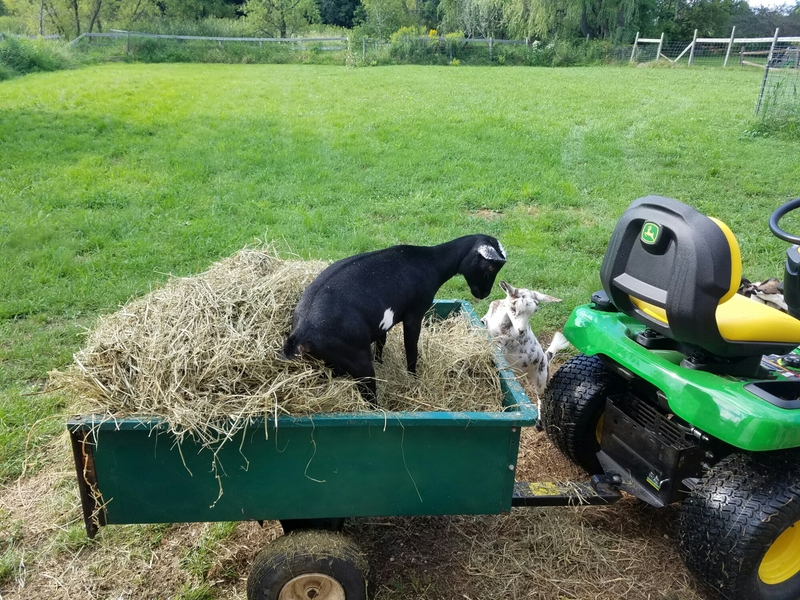 Dustin continually let’s me know that over the past couple of months we have created spoiled goats, which I wouldn’t disagree with. 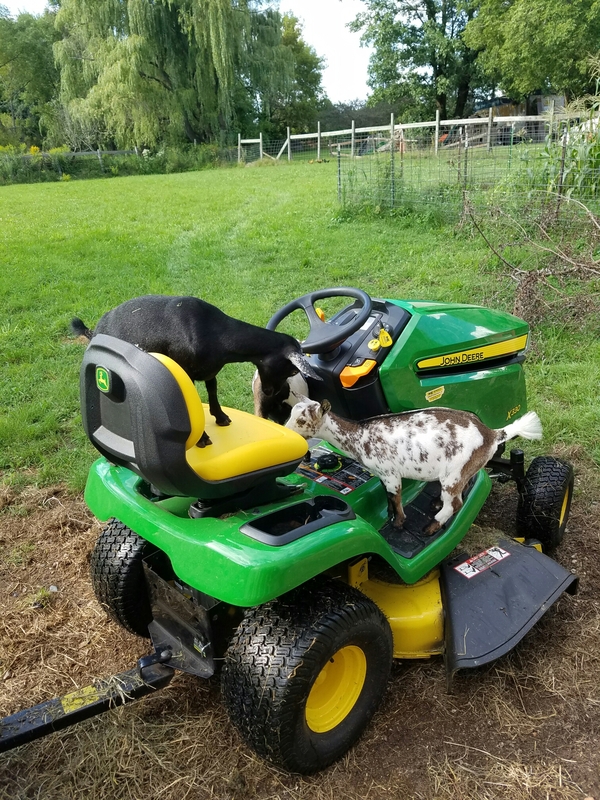 The goats are pretty quiet until around 6 pm. They know that is when we head home from school and work and they expect to get some attention. They usually stand at the gate and cry. Lately, we have been taking family evening walks to get some exercise for the family and the babies. It is pretty entertaining to watch everyone’s head turn as they drive by us making sure they saw a goat and not a dog. The other entertaining thing is the goats know where the house is so if we walk by it and they are tired they lay down in the middle of the street and refuse to move. They have also found a new toy when no one is looking. We have embraced the farm life by buying our first John deere. 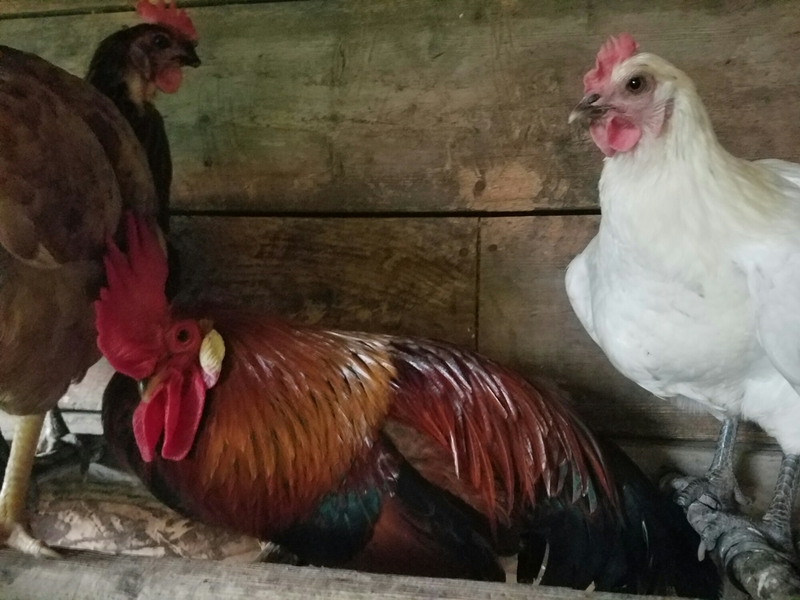 The chickens are producing approximately 10 eggs a day and we are eagerly waiting for the bantams, cuckoo maran, and Americans to catch up with the rest of the flock and start laying. We are also trying to figure out what to name the 3 small bantams. 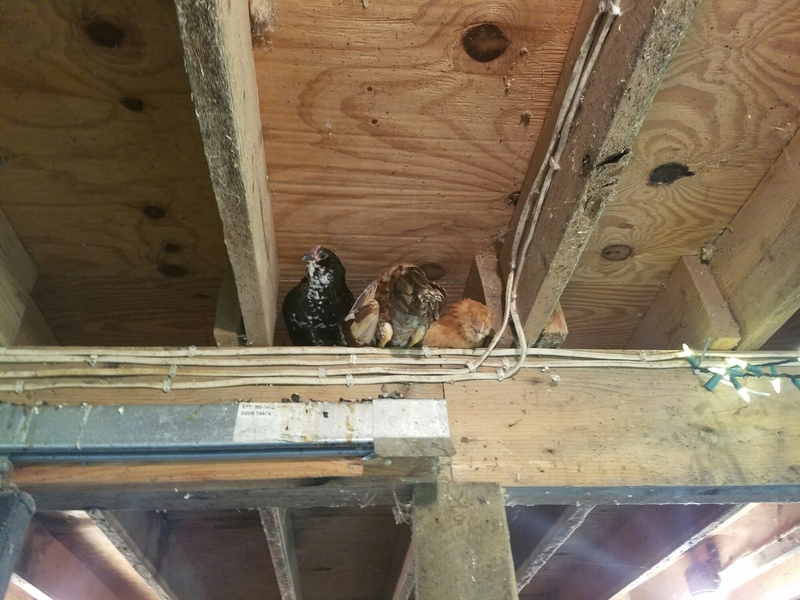 There new favorite spot is in the rafters. We have continued to be worried about Loki. We are thinking that he has lost all control of his foot and are now discussing putting him down. Everyone, except for Dustin are also ok with getting rid of Ringo. His new trick is to follow behind you and kick you when you are not looking. Beautiful, but a little stinker. Our first solution was to pick him up every time he would try to attack. Wasn’t a complete success so lately I just yell at him and he usually wanders away. Finally, we are days away from the minnesota state fair and eventhough the kids can’t compete in 4-h, they can compete in the k-12 education division. They submitted photographs in their grade level and have had history of doing very well with both of them receiving multiple years of blue ribbons. This reminds me that Eli received a check from winning reserved champion from the county fair and he was more concerned about where the ribbon was at. We thought it was pretty cute. 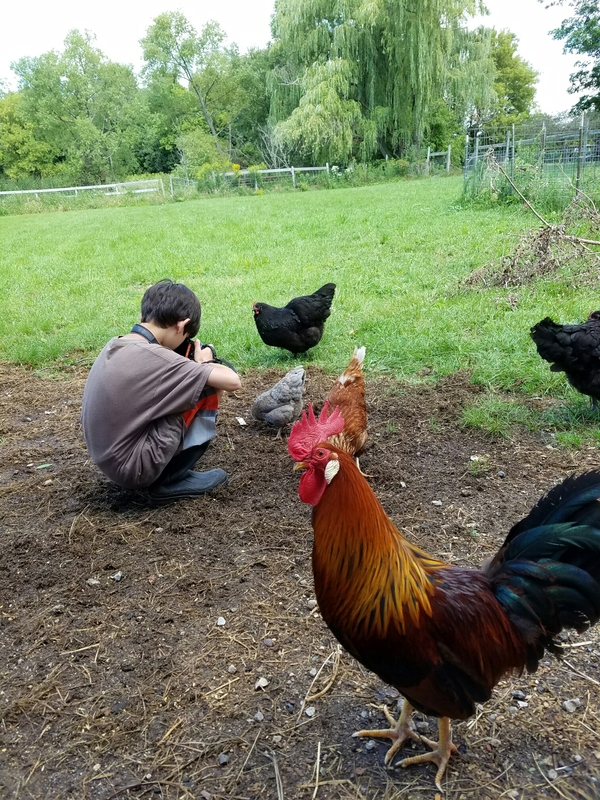 Below is Eli using the chickens as models for his pictures. ← Garden update and hot chickens.